The history of the Captain’s House Hotel is tightly attached to the premises in which it is located. 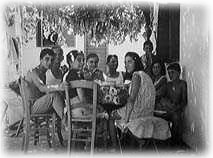 After the 1953 earthquake, the village was transferred from the old village to today’s location at Skala. "Captain Costas" who owned the land built a small house which he used to repair his fishing boat and store his supplies. Captain’s boat was not only used for fishing, but also as a mean of transportation for the locals of Skala to the mainland as well as a way of transferring supplies from Peloponnesus. 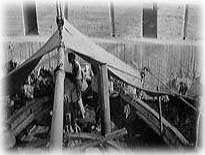 Moreover at the catastrophical earthquake of 1953, the boat was also used for transferring the injured people from Skala to the mainland. 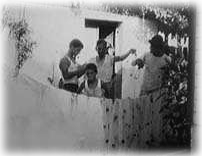 Over time and generations, the small house grew bigger and bigger and eventually became one of the first hotels in Skala and helped pioneer the tourism industry.